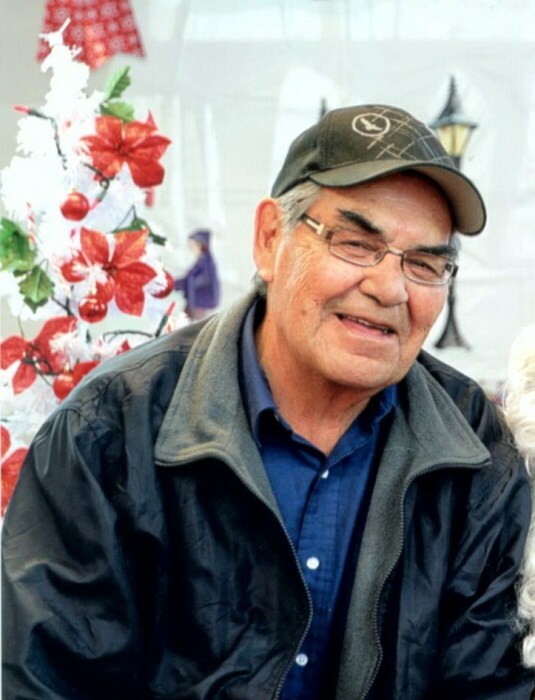 Gilbert Alexander Keewatin Sr. (Mosom Muskwa) was born on January 28, 1941 at Fort Qu’Appelle Indian Hospital, to Norman & Harriette Keewatin (McLeod). He was survived by his wife of 50+ years Ruth Keewatin (Akapew), his children Crystal, Gil Jr (Jamie), Errol (Taryn), Jacqueline (Lance), Theo, & Roberta. Adopted son Steve Ironquill and oldest grandson Colten Keewatin. Dad had 24 grandchildren and 4 great grandchildren. Dad was predeceased by his brothers Percy, Earl Sr, Gabby & Norman and his sister Susie. He is survived by his brother Patrick “Wahoo” Desnomie, Alma Keewatin, Eugene & Anne Keewatin, Noma & Bill Koochicum, Germaine & Lyle Desnomie, Jackie & Darrel Bellegarde, & Helen Merasty. Wake will be held Tuesday, January 29, 2019 at 4:00 pm in the Peaskestew School Gym, Peepeekisis Cree Nation. Funeral Service will be held on Wednesday, January 30, 2019 at 11:00 am in the same location. Officiating Darrel Bellegarde, Lyle Desnomie, and Wayne & Alice Goforth. Family asks for no children under 5 years old to be in attendance.